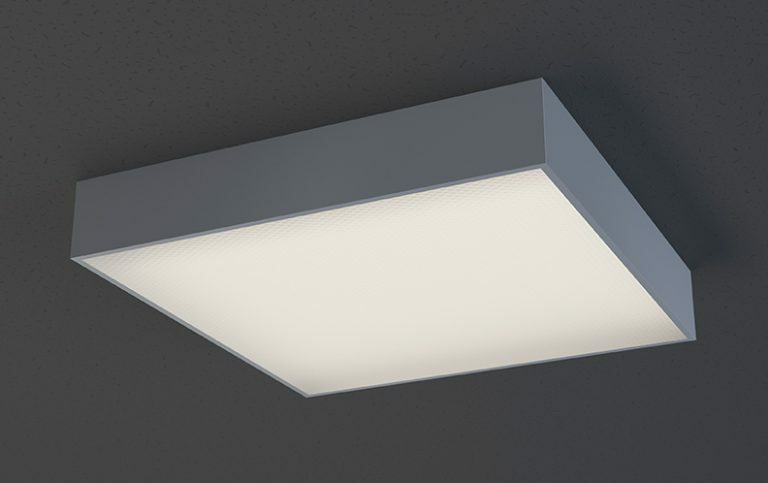 Specification grade, 1X4, 2X2, or 2X4 surface mounted luminaire with a milk white lens. Available in LED or with fluorescent lamping. For use in indoor applications where a LED luminaire with maximum efficiency is required.